This novel tells the story of a boy life named Hanif Abdurrauf Sjahbandi. When he was child, he was very active, he often to go around his home to ruffle his home until his mother overwhelmed. Several years passed, Hanif has now grown into an elementary school student that was very fanatic to football. Talent and enthusiasm which is owned Hanif finally paid off. In SD Al-Azhar Kemang 9 First, Bekasi, extracurricular teacher stunned to see his football Hanif playing football with his friends. There was many students, but only Hanif that capable of absorbing his attention. Although it was opposed by his father, Hanif finally join ASA (Asian Soccer Academy), because according to Hanif’s mother, Hanif did not just get a football lesson, but she will get over it, such as building awareness of differences in language and skin color. Hanif even been joined to the U-13 national team, he play with the U-13 national team at AFC U-13 Festival of Football in Malaysia. After returning from U-13 national team, Hanif always pay attention to the next few days, and his father always sitting in front of a computer screen. 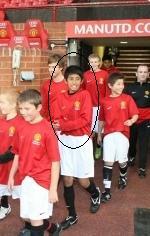 Then Hanif’s father intend to enroll Hanif in training camp at Manchester United during the school holidays, Hanif responded it very well. Training camp started, Hanif went to Manchester to follow it. Day by day he spent to training at the training camp. After the 478last day, all the participants went to the field to listen to the announcement of the students who became best player. Hanif was elected along with kim from korea, they will be selected again for World Skill Finals. They were tested in long pass skill. Remarkably Hanif elected to follow the upcoming World Skill Finals. Then Hanif and his family returned to Jakarta. Arriving in Jakarta, every day Hanif always practicing in preparation for the upcoming World Skill Finals. In World Skill Finals, Hanif’s long pass skill, short pass skill, shooting skill, and dribbling skill always be tested. 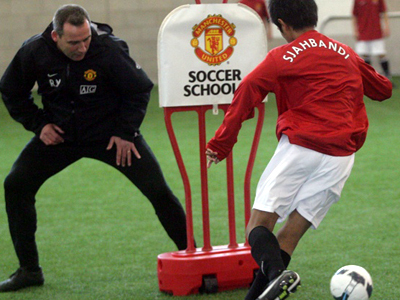 During two full days, Hanif given a coaching clinic, then after the second day of training, all participants and companions are invited to attend to the Old Trafford stadium to watch the match between Manchester United against Blackburn Rovers as well the announcement of the World Skill Finals winner. And the announcement of the World Skill Finals came, Hanif trying to remain calm. And finally comes out as the winner of 2009 world finals skill is 11-year-old boy named Amor Gauti Brynjolfsson. After hearing the results of the skill-winning world finals 2009, Hanif began to pack up and said goodbye to other participant. 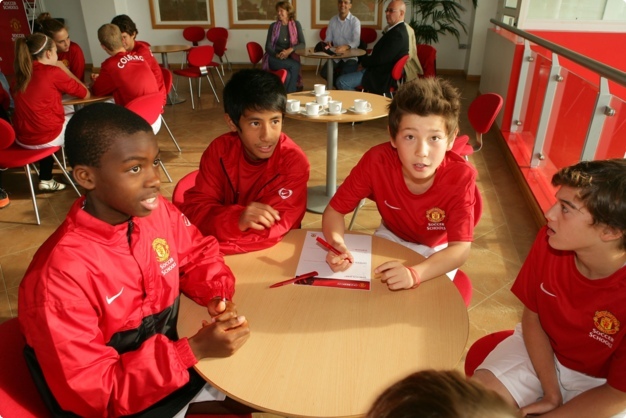 He dreamed of someday playing in the clubs of Manchester United. He will be not give up.